Sierra Shred since 2006. Here are just a few! "You all did a great job! The men were so pleasant and fast! It was neat watching the shredder work. The price was awesome!" "You guys were awesome! We will definitely use you again, and I’ll recommend you to friends and neighbors. Great customer service!" "I wanted to take a moment and thank you for the service I received. It was outstanding. I will definitely recommend Sierra to anyone in need of your services. 5 stars and then some!" "Thank you for the excellent service—from start to finish! You guys were great!" "The men you sent to our office were very nice and professional. We have used Sierra Shred in the past and that has always been the case. I just wanted to let you know how much we appreciate what a nice company Sierra Shred is to work with." "Your team did a great job, and it was a pleasure to have your company take care of our shredding needs before the office move. I am very happy to tell others about your company and my positive experience. Thanks again." "Fast, professional, and your Service Technician was so congenial. And what a fascinating process to watch. You may count me as a convert. I will recommend Sierra Shred to everyone I know!" "The driver was so nice, and I got to watch the process. It was such a nice experience. Thank you." "Thank you! The Service Technician was a delight, very professional and courteous. What a great experience!" "Thank you. The men were efficient and very polite. It was a good experience and I will recommend you to my associates." "Just wanted to let you know we had our first pickup this morning. What a great employee you have! The representative was very friendly. He even let my boss peek at the truck and see how the shredding was completed. Thanks for the great service. What a first impression!!!" "I just wanted to let you know what excellent service we received! Both of the gentlemen who showed up were quick, efficient, and super friendly! And they were on time and called ahead to let us know they were coming! Excellent customer service is such a rarity these days that when you see it, it almost shocks you! Just wanted to let you know we appreciate it! THANK YOU!!" "It is a pleasure doing business with Sierra Shred. They are courteous, professional, and do what they promise in a timely manner. I will recommend them to my friends." "The service was excellent...very professional and friendly! I will certainly recommend your company." "I just wanted to let you know how really pleased I am with you and your company. You were great and very efficient. I am very happy and will most definitely use your company again." "Thanks! We so appreciate your speedy service. We recommend your business to anyone! I wish all our vendors were as efficient and friendly as your group!" "I am so proud I found your service…everything was excellent…very professional staff dressed so nicely…price was right…we will use you again next year." "Thank you so much for the wonderful service that your company provides! Both men were professional and efficient. I appreciate all of your assistance. You are all wonderful!" "I want you to know that I have been very impressed by the quality of service provided...from beginning to end. I will certainly share your company with others and will call you the next time I need any shredding service." "I want to say that the complete process was a great experience. Your company’s customer service is superior. I wish all of my dealings were this good." "Thank you. Your company was a pleasure to deal with and your staff was great!" "Thank you. It was fun. Very efficient and professional. I will be passing your name on to my friends." "I love Sierra Shred! The men on the truck are always nice and helpful. The price is just right! Thanks for the great service. I will be calling again." "Your team did a fantastic job. I will recommend you to all my friends. Really very impressive." "Words cannot express how blessed I was yesterday when you were able to shred all my documents. I have already sang your praises at work and to my friends. Your caring and professionalism was outstanding. I thank you from the bottom of my heart." "We were extremely happy with your team yesterday. The whole process was fabulous! We will definitely use you again." "We’re in the financial and estate planning business, and we must keep confidentiality in our line of work. 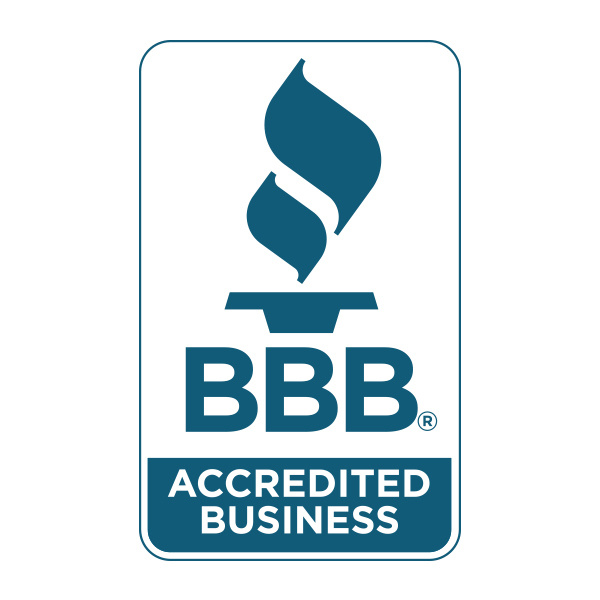 We’ve been doing business with Sierra Shred for years and have received total security and great customer service. Thank you!" "From the very first phone call we placed to Sierra Shred, we have received exceptional service and professionalism. We highly recommend Sierra Shred." "I am especially impressed with your personal attention to every detail that contributes to a superior job." "I enjoy working with the folks at Sierra Shred. They've been really responsive and very helpful to me!" "I know that the shredding of non-public documents is the first line of defense. I could either spend hours doing it myself or have Sierra Shred do it for me, the choice was obvious." "Sierra Shred has been the answer for us! They make our document disposal easy, convenient and secure. To make it even better they have been very easy to work with." "I love Sierra Shred! Their service completely takes away the headache and worry from keeping up with confidential papers. They are the BEST!" "Sierra Shred is a very responsible, reliable company who I highly recommend for all your shredding needs! Sierra Shred has saved me TIME and MONEY!" "The folks at Sierra Shred are very thorough and conscientious!" "Sierra Shred has been outstanding. They have provided my agency with peace of mind in handling confidential information. I would highly recommend Sierra Shred for your shredding needs." "We are very pleased with Sierra Shred's professionalism and promptness. They went above and beyond what we expected and we'll never use anyone else but Sierra Shred." "We could not have asked for a better team to be sent out. Thank you so very much for being so professional and doing a great job!" "We have 2 shred bins in our office from Sierra Shred and I don't know what I would do without them!!" "Just wanted to say how happy I've been with your service. It has always been highly professional and reliable. Everyone with whom I've dealt has always been most pleasant which is a bonus! I would highly recommend your service to anyone."